The message of Virgil’s Aeneid once seemed straightforward enough: the epic poem returned to Aeneas and the mythical beginnings of Rome in order to celebrate the city’s present world power and to praise its new master, Augustus Caesar. Things changed when late twentieth-century readers saw the ancient poem expressing their own misgivings about empire and one-man rule. 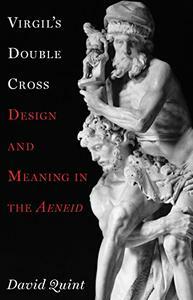 In this timely book, David Quint depicts a Virgil who consciously builds contradiction into the Aeneid. The literary trope of chiasmus, reversing and collapsing distinctions, returns as an organizing signature in Virgil’s writing: a double cross for the reader inside the Aeneid’s story of nation, empire, and Caesarism. Uncovering verbal designs and allusions, layers of artfulness and connections to Roman history, Quint’s accessible readings of the poem’s famous episodes–the fall of Troy, the story of Dido, the trip to the Underworld, and the troubling killing of Turnus―disclose unsustainable distinctions between foreign war/civil war, Greek/Roman, enemy/lover, nature/culture, and victor/victim. The poem’s form, Quint shows, imparts meanings it will not say directly. The Aeneid’s life-and-death issues―about how power represents itself in grand narratives, about the experience of the defeated and displaced, and about the ironies and revenges of history―resonate deeply in the twenty-first century. This new account of Virgil’s masterpiece reveals how the Aeneid conveys an ambivalence and complexity that speak to past and present.